Ate both lunch and dinner in the restaurant and the food was very good. Same menu for both meals. Wish there had been a little more variety. 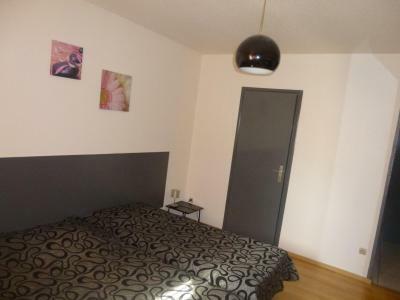 Great position right near the swiss border, very useful small kitchen with fridge in the triple room, very clean, very friendly staff, good private parking and permits for street parking if places are occupied by restaurant guests. Really great! Easy and comfortable stay, great location ~30 meters from Swiss border. Helpful staff. Fair price and easy paid. 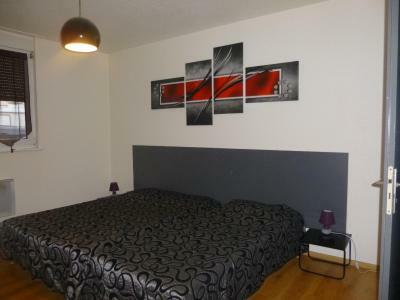 Near tram stop, fast and cheap to Basel and easily accessible by public transport. I liked everything this hotel experience. It’s on a prime location walkable to Novartis campus for visitors, great food and portion they serve surely will fill any hungry appetite. Most important of all very friendly and welcoming human staffs, this age of fancy time, we miss that the most. Great location, literally some few steps into Switzerland. Staff were helpful. Located in Saint-Louis, Hôtel Porte De France is 5 minutes from the Swiss and German borders. This family-run hotel offers free WiFi and free private parking. Guests can enjoy lunch or dinner at the hotel’s restaurant, which serves traditional and regional cuisine. Restaurants and shops can be found within walking distance of the hotel. Hôtel Porte de France provides a taxi reservation service and is located just a 5-minute drive from Basel-Mulhouse-Freiburg Airport. The hotel is 5 minutes from Saint-Louis city center and 150 feet from the tramway, which gives direct access to Basel. The Grand Casino Basel and the Casino Barriere are also in close proximity. When would you like to stay at Hôtel Porte De France? 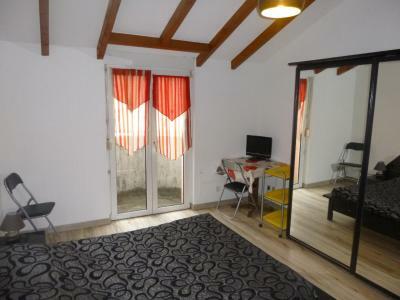 This room offers a TV, a private bathroom and facilities for making tea and coffee. House Rules Hôtel Porte De France takes special requests – add in the next step! Hôtel Porte De France accepts these cards and reserves the right to temporarily hold an amount prior to arrival. If you plan to arrive at the weekend or outside reception opening hours, please contact the hotel in advance to obtain the access code. Please note that the hotel does not serve breakfast. Lunch and dinner are available from Monday to Friday, at an additional cost. There is a coffee shop next to the property that opens 04.30 weekdays and 06.00 on weekends. Location can be somewhat noisy at night. Noisy air conditioning/exhaust. Very spacious room. Comfortable bed. Private parking included. Room decor was a bit dated, TV could have been up on the wall to see better but considering the cost of the room It was good value. I’ve paid more to stay in much worse hotels! It was very warm. .a small fan in the room would be good . Neighbourhood is a little shady. Rooms are quite large for such cold winter to stay warm, but that lovely to enjoy winter too. Location - good bakery nearby Tea and coffee sachets were provided, electronic kettle and heating plates with cutlery in the mini kitchen. The shower head could no longer be fixed to the wall as the fitting was missing. Nice patisserie just few minutes away.